More than five years ago, opposition leader Sam Rainsy stood on disputed land near the Vietnamese border and ripped a demarcation post from the ground in an act of defiance. The government’s response to this bit of highly charged political theatre was swift and unsurprising. Convicted of charges including racial incitement and destruction of property, Rainsy was sentenced to two years in prison and fled into nearly four years of self-imposed exile. “Now who are the foreigners and international organisations that support such an action?” Hun Sen mockingly said of Rainsy’s stunt at the time, seemingly dismissing out of hand any talk of encroachment. Half a decade later, Rainsy’s nascent Cambodia National Rescue Party is still protesting alleged encroachment at the border, but amid shifting political winds, the government’s response has been markedly different. In past weeks, its public rhetoric on the issue has increasingly put it in line with the opposition, something observers attribute to both domestic politics and China’s rising influence. Yesterday, following an opposition-led delegation that on Sunday brawled with Vietnamese authorities and villagers after “inspecting” a Vietnamese-built road in disputed territory in Svay Rieng, Interior Ministry spokesman Khieu Sopheak backed the group and condemned Vietnam’s use of force. Opposition lawmaker Son Chhay is today expected to request Sok An, head of the Council of Ministers, to appear before the National Assembly to explain a recent directive forbidding public employees from dealing directly with lawmakers on corruption issues. 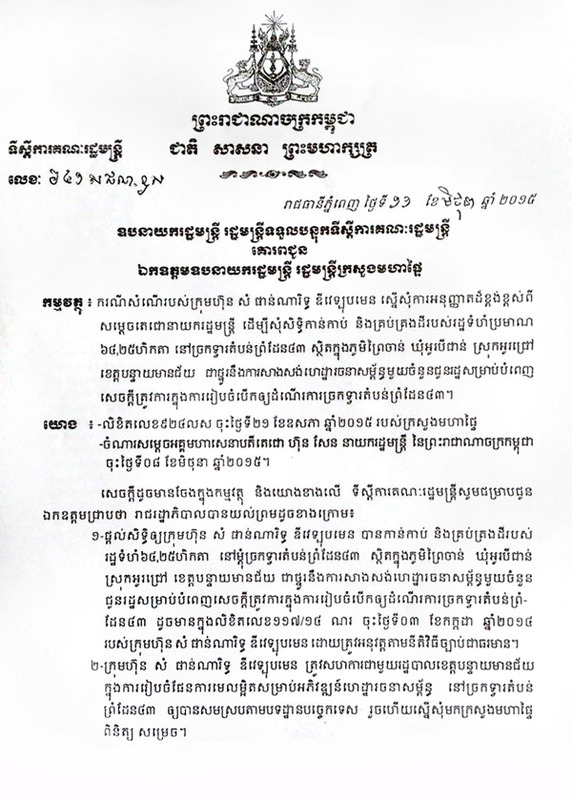 In a letter to National Assembly President Heng Samrin, Chhay will demand the deputy prime minister answer questions on July 2 about a circular sent to all ministries and government institutions, which he says undermines the role of lawmakers in fighting graft. Particularly, Chhay wants to know what Sok An – who is overseeing the edict – meant when he said members of the legislature were “abusing” the government by either not knowing, or feigning ignorance of, the correct procedures on dealing with corruption. “He needs to explain, who are these members of parliament or senators who have been doing this,” Chhay said. Chhay’s request comes days after he and fellow opposition lawmaker Ho Vann were chided by Council of Ministers Secretary of State Tek Reth Samrach for criticising the directive, which states all government employees must get permission before speaking to lawmakers or parliamentary commissions. "Vietnam is a success story from the distance. Up close, it needs fine tuning,"
Vietnam's people remain embittered over a perceived history of Chinese bullying and territorial claims in the South China Sea, although China said at the time the rig was operating completely within its waters. China has moved an oil rig at the center of last year's violent dispute with Vietnam closer to Vietnam's coast in the disputed South China Sea, just weeks ahead of the first visit by a chief of Vietnam's Communist Party to Washington. The move, announced by China's maritime safety authorities, comes soon after the country indicated it was close to setting up new outposts in the maritime heart of Southeast Asia, as it nears completion of land reclamation in the South China Sea. China's deployment of the rig last year in what Vietnam called its exclusive economic zone and on its continental shelf, about 120 nautical miles off its coast, led to the worst breakdown in relations since a brief border war in 1979. 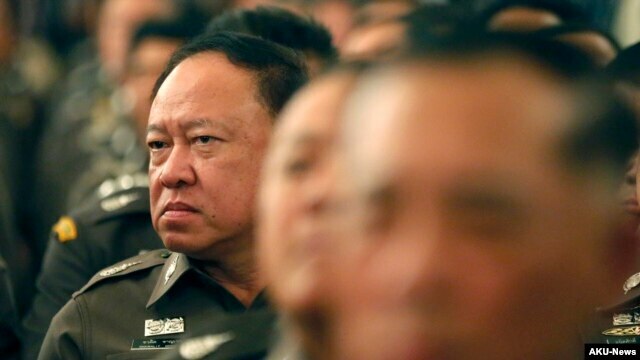 FILE - Thai policemen listen to a speech at Government House in Bangkok, Thailand, April 3, 2015. Thailand’s military has broadened its ongoing crackdown of media freedoms, canceling a Bangkok news conference over alleged abuses in Vietnam against ethnic minority Montagnards. The news conference Friday led by the U.S.-based Human Rights Watch was stopped by local police who presented an official letter from the ruling junta saying the event threatened national security and bilateral relations. The Human Rights Watch report was to detail abuses against a Christian ethnic minority in Vietnam, the Montagnards. But shortly before the event was to begin uniformed and plain clothes officers arrived at the Foreign Correspondents Club of Thailand and began filming those present. Journalist Veronica Pedrosa, a club director, said the junta or National Council for Peace and Order (NCPO) referenced article Number 44 from the interim constitution granting military leaders wide discretionary powers. “It was a paid event by Human Rights Watch. The NCPO through the Lumpini Police [station] has communicated to both the FCCT and to Human Rights Watch that they are under Article 44 requiring us to not hold this event because it is sensitive to Thai Vietnamese relations and it might cause instability and insecurity in Thailand,” said Pedrosa. The report details abuses against the Montagnard Christian community in Vietnam's central highlands. Human Rights Watch said the report would highlight broader rights violations against religious minorities in the country. Sunai Pasuk, Thailand researcher for Human Rights Watch, who spoke with the police officers at the journalists’ club, said the military’s steps marked further efforts to halt discussion of human rights in Thailand and the region. “This is in every way an intervention by the NCPO to silence human rights reports, to silence human rights activists from having a stage to tell the world what is going on in each of the countries that have serious human rights violations. They consider reporting the human rights situation in Vietnam as an act that would undermine friendship and cooperation between Thailand and Vietnam and can jeopardize national security,” Sunai Pasuk stated. Since CPP and CNRP have agreed to work together in parliament and created "culture of dialogue" that produced a new NEC and discontent of some radical supporters of CNRP who accused the CNRP of adopting a soft stand against the CPP through a culture of dialogue, many new political parties have been created over the past six months from some infamous politicians--a return of Prince Ranaridh to lead a new Forncinpec, the People Power Movement of Sourn Serey Ratha, Mom Sonando, a Beehive Radio Station owner, an independent political analyst Kem Ley, and Ms. Lac Sopheap, a former CNRP central committee member who was expelled by the CNRP disciplinary committee. All these new emerged parties have no viable political strength not only to unseat Hun Sen from power but they will even fail to capture a single seat in the parliament. Nonetheless, these new political parties have put more pressure on the CNRP more than on the CPP since these small political parties will split votes from CNRP, and they will create a more favorable opportunity for Hun Sen to win the next election again. Should Khmer continue to play such a political suicide again and again until Cambodia will be wiped out from the world map like Kapuchea Krom and Champa? All Khmer should learn a bitter lesson in every election since the 1993. The CPP, which had been installed by Hanoi in 1979, has ruled Cambodia until the 1993 election and it still has managed to control the country until today through violence, intimidation, election fraud, and more critical than those is to break up all Khmer opposition forces by all means-- buying out, granting title and statues, sharing fake power, and encouraging to create and set up more political parties. Since 1993 election the CPP has never won popular votes 50 per cent or more, but it won most seats in the parliament in every election. For example in recent election 2013, the CPP got only over 200,000 votes more than the CNRP, but if all the opposition forces combine votes together, they would win by 300,000 votes more than the CPP. However at the end, the CNRP lost majority in the parliament and more than 500,000 votes wasted by the other smaller parties. Forncinpec gained nearly 250,000 votes but did not win a single seat in the parliament. A bitter lesson repeated again recalling the 2008 election when the CPP won landslide victory 90 seats in the parliament though it won popular vote less than 50 per cent. In that time the major players --Sam Rainsy, Kem Sokha, Ranarith, and BunChay-- each has his own party to compete with Hun Sen.
Cambodian villager Phon Chhoeun after a scuffle in which he is accused of inuring a Chinese worker and a translator. Police in Cambodia’s Tbong Khmum province on Friday arrested a villager accused of injuring a Chinese worker and his translator in a long running land dispute. The villager, Phon Chhoeun, however says he merely was defending himself from an attack by the Chinese man, whose company he accused of encroaching on village land in violation of terms of a 2011 transaction in the central Mekong River highlands province. “They had many arguments in the past, but now he committed a crime,” said Hong Kim Hoeun, police chief of Tbong Khmum’s Dambae district. He told RFA’s Khmer Service the Chinese worker was vomiting blood after the incident and that Phon Chhoeun would be prosecuted.The worker's name was not released. Phon Chhoeun, however, disputed that account. He said he was inspecting village land adjacent to the Chinese investor’s Hameniven Investment land concession to see whether the company encroached on his land, which is at the center of a four-year dispute. “They assaulted me but they filed complaint against me. It is very unjust,” Phon Chhoeun told RFA, adding that he lost several teeth in a scuffle that began when the Chinese worker tried to strangle him. 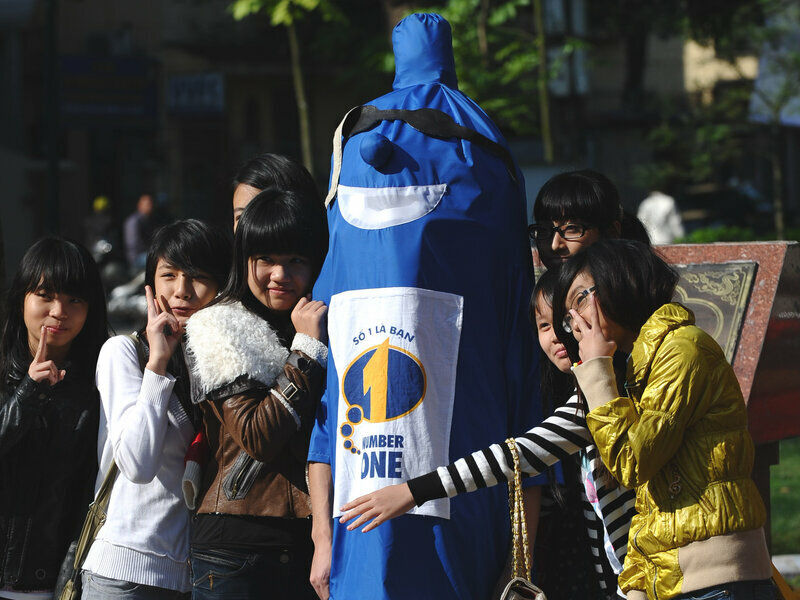 He said that he will file a counter lawsuit against the Chinese worker. The Vietnamese government has ordered border authorities on its end to make a report responding to allegations that Vietnamese forces have encroached onto Cambodian territory by digging ponds and constructing a military post inside Ratanakkiri and Kandal provinces, respectively. According to a press release issued yesterday following Tuesday’s bilateral meeting between Foreign Affairs Minister Hor Namhong and Vietnam’s Deputy Foreign Affairs Minister Le Hoai Trung, the two officials discussed the diplomatic notes sent by Cambodia to Vietnam over the issue. Trung reportedly denied that Vietnam constructed a new military post in Kandal’s Koh Thom district, saying that authorities had only repaired an older one, but provided no comment on the ponds in Ratanikkiri’s O’Yadav district. “The deputy Vietnamese foreign affairs minister told His Excellency Deputy Prime Minister [Hor Namhong] that … [Vietnamese leaders] were awaiting the report,” the release reads. It also said Namhong reiterated to Trung that Prime Minister Hun Sen had many times raised the issue with Vietnamese leaders, and asked Vietnam to refrain from any activities within zones that had not yet been demarcated. Meanwhile, opposition Cambodia National Rescue Party (CNRP) lawmaker Um Sam An, who has recently visited portions of the Cambodia-Vietnam border, dismissed the Vietnamese official’s comments, saying that the newly constructed Vietnamese military post is actually 100 metres closer to Cambodian land than it was previously. Authorities in Ratanakkiri province are searching for four Vietnamese nationals and a local official who were discovered to be operating an illegal gold mine in an area allotted to an Australian exploration firm. The Ministry of Mines and Energy received a tip-off yesterday from concessionaire Angkor Gold that the mine was operating despite a nationwide crackdown on illegal mining. “Four Vietnamese men were doing the mining . . . but they escaped when they saw [us] coming to inspect the site,” said Bi Vanny, an investigator for local rights group Adhoc. Meng Saktheara, secretary of state at the ministry, said police had confiscated mining equipment from the site to be used as evidence against the alleged illegal miners. Chum Sreang, who farms the land near the mine, said he had been approached by a man calling himself “Rith”, who had suggested he was “a police officer or a military officer” and that he would give Sreang a share of the profits from the gold. As there was no court prosecutor present, Saktheara said no arrests could be made. Vietnamese people build houses inside lands leased to Vietnamese companies for 99 years ឥលូវយួនសង់ផ្ទះឈើក្នុងដីសម្បទានខ្មែរ៩៩ឆ្នាំ តើ៩៩ឆ្នាំក្រោយយួនទាំងនេះយល់ព្រមចាកចេញរឺអត់? 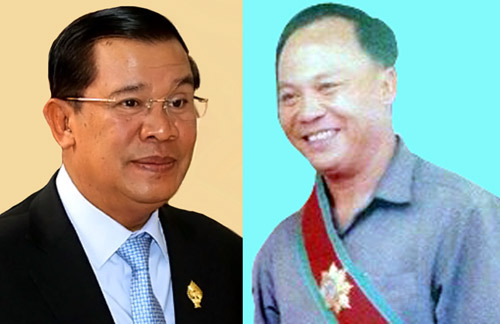 PHNOM PENH (The Cambodia Herald)— Prime minister Hun Sen, president of the ruling Cambodian People’s Party (CPP) and his political rival re-affirmed their commitment to continue implementing the culture of dialogue. In his letter respond to the president of the main opposition Cambodia National Rescue Party (CNRP) Sam Rainsy’ s congratulation letter after he was elected as the president of the CPP, Hun Sen said the agreement on culture of dialogue of both parties brought very fruitful result for Cambodian. “I hope that our both parties still strengthening and expanding the cooperation under spirit of honesty in implementing the culture of dialogue at different levels to make harmony for the people now and in the future”, stated Samdech Techo Hun Sen’s letters.